Here’s some food for thought: how safe are you in your home? Maybe you own an intimidating pit bull, recently got a new alarm system installed or set up a security camera system. It’s extremely important to keep your home safe. One part of the home safety equation that often gets overlooked however is the state of the home’s electrical wiring. If your home’s wiring is faulty or old, you may be in for a bit of a shock (in both senses of the word!) Each year, there are 3,000 preventable house fires in Victoria – many of which are the result of faulty electrical wiring. At Briggs Electrical, we strongly recommend getting your wirings checked, especially if you live in an older home. If you’re concerned that your home’s wiring may be an issue, it’s high time you talk to a certified electrician. It’s important to periodically check your home’s electrical set-up, understand the current state of wiring, and find out if your home needs to be re-wired. When your throat feels hoarse and nothing you do seems to relieve it, we usually take that as a sign of an oncoming cold. Just like your body, your home displays symptoms when it’s unwell, too. Your safety should always be a primary concern, which is why you must never DIY electrical work. Something as simple as a switch not working could be harmless… but it could also indicate that your home needs the urgent attention of an electrical expert. At what age does a house need rewiring? When evaluating the safety of your home’s electrical system, one of the first things to consider is your home’s age. While there is no consensus on a specific time, many electricians recommend getting a home’s electrical system checked periodically and rewired at least every 25-30 years. Because older homes especially were never designed for the sheer amount of power that our modern lifestyles take up! Many older homes also haven’t been updated to meet more recent safety regulations. If you’re unsure of the last time your home underwent any rewiring, a qualified electrician can provide you with some insight. Contact the team at Briggs Electrical: we’d be happy to give your home a check-up and discuss what can be done to keep you and your family safe going forward. Who in the 1950s could have anticipated the sheer power and volume we’d be using every day? From Ducted heating and cooling to Wi-Fi, we rely on electricity more now than ever. With the way the wind is blowing, don’t be surprised if you find your home needing another workover in the future to keep up! If you plan on living in your house for quite some time, it may be worth considering future-proofing it against future technology by installing higher capacity circuits, fittings, and ports. What should I expect before rewiring a house? Before your home goes through a wiring overhaul, it should be first evaluated thoroughly by a qualified electrician to determine the scope of the issue. Depending on your home, you might only need a new set of sockets and switches… or, it might need major rewiring work. Rewiring a house can be a messy, disruptive job. 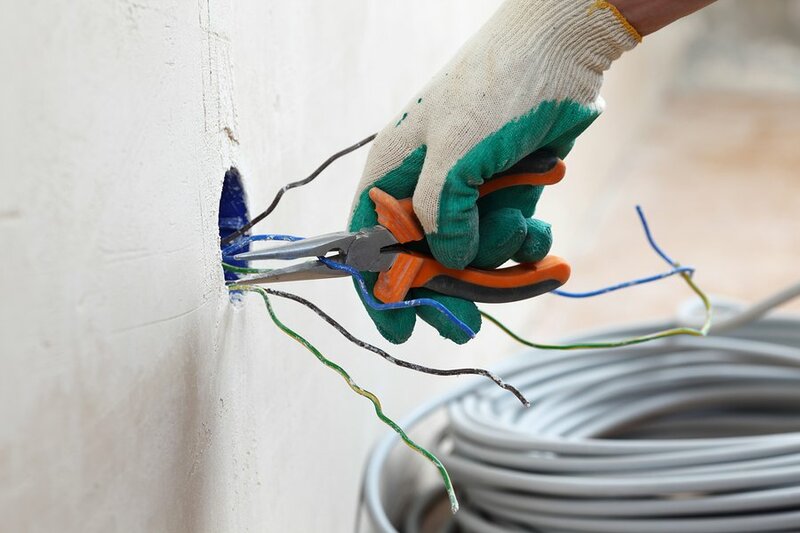 To reach wires and cables, electricians may need to cut open walls, floors and ceilings. While electricians always try their best to minimise disruption, it’s important to prepare for dramatic changes to your routine. For smaller rewiring jobs where only one room requires work, it possible to live around the electricians as they work on your home. More comprehensive rewiring jobs can be a little more challenging to live with. Depending on the scale of a rewiring job, it may be easiest to temporarily move out during full home rewiring jobs. Regardless of the project’s scale, there are a couple things you should always do to prepare your home for the work that needs to be done. You can start with removing all items from the walls of rooms. You should also cover other items in your house like your furniture to protect them from plaster and dust. How long does rewiring a house take? How long your electrician spends rewiring a house can depend on the scope of the rewiring job and the size of your home. For instance, a kitchen rewiring typically takes around two to four days, while a whole house would evidently take longer. 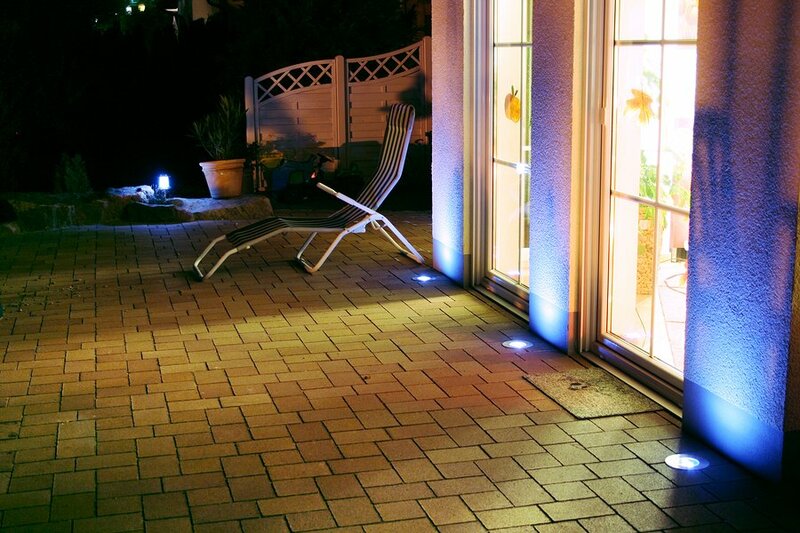 At Briggs Electrical, we understand the importance of routine. Give us a call and our team will put together a plan with you and work around your needs to make this important process as seamless as possible! If you start noticing any of the warning signs that we have listed above or if you feel that it might be time for an inspection, reach out to Briggs Electrical to get your home’s electrical health looked over! Our team understands it’s easy to feel apprehensive about a seemingly large project like rewiring your home, so talk to us today for a chat. Fill in this form or give us a call!